Trailside Villa is the perfect Tahoe Donner Vacation Getaway. The rear faces the Tahoe Donner Nordic Trails perfect for a cross country ski vacation. This gorgeous rental in Tahoe Donner-Truckee is a beautifully furnished three-bedroom, two and a half bathroom free standing Town Home. Tahoe Donner is a wonderful, mountainous resort community with its own small downhill ski area, a fantastic cross country ski center, a sledding hill, small market/deli and Recreation Center. The Rec Center offers hot tubs, heated pool, fitness center, saunas, health spa, tennis courts, downhill and cross country ski resorts, equestrian center, Golf Club with 18-hole course and driving range, a public restaurant (The Lodge at Tahoe Donner), and a private beach on Donner Lake. Tahoe Donner is conveniently situated at the upper west end of Truckee. Minutes to Historic Downtown Truckee for shopping and restaurants, and 10-30 minutes to ski area resorts including Tahoe Donner, Northstar, Squaw Valley, Alpine Meadows, Sugar Bowl, Soda Spring, Donner Ski Ranch, Boreal and Royal Gorge Cross Country Center and approximately 40 minutes to Lake Tahoe. This home comes complete with full kitchen and all linens and towels. HolliHouse International is a listing and reservation service for second home properties across the US with a low commission of only 10%. We help owners get the most out their HomeAway rentals with dynamic pricing and help guests throughout their reservation from initial booking through checkout. Guest can book a property knowing that it is verified. Funds are not released to an owner until Guests have successfully completed their stay assuring both Guest and Owner of a guaranteed transaction. Owner is allergic to dogs, but has an allergy-free dog at the home occasionally. Cozy cabin so close to skiing! This place is amazing! We had a wonderful stay and wished we could have stayed longer. 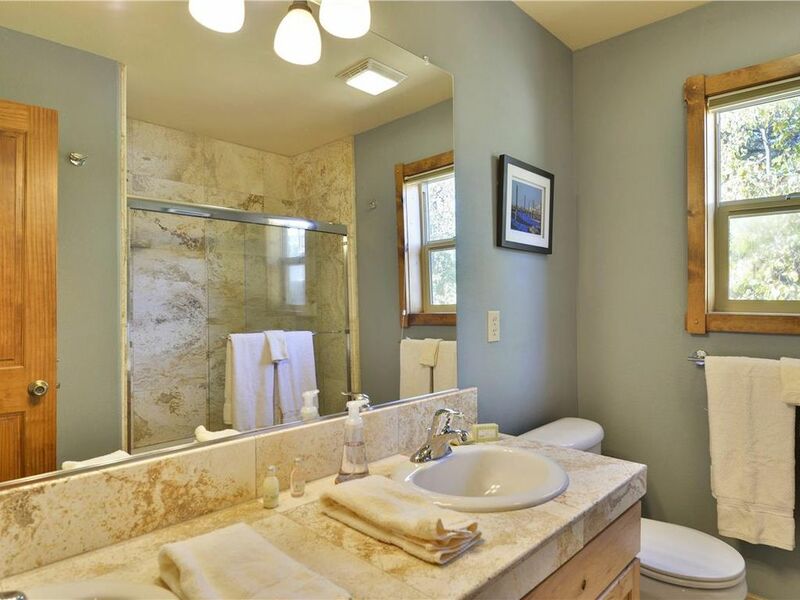 Such a cozy cabin and so conveniently located within walking distance to Tahoe Donner Downhill Ski Resort. Everything was very clean and well stocked. The bathroom is amazing! :) I definitely recommend this cabin and would stay here again in a heartbeat. Beautiful, well organized, comfortable, quiet, perfect! This is a well decorated home. It makes you feel as if you’re visiting a friends’ home. Every thing is well organized, labeled. They have quality furniture with good quality outdoor furniture. We felt welcomed & at home. Great location summer or winter! The property management left much to be desired. First, I did not like needing to use the "client portal" and need to upload phone app to be able to access check in information and other house details. There was no personal touch at all in communications from time of booking. (all automated e-mails and replies). For the cost of the rental it seemed there should be a better level of personal communication. And, not everybody wants to have to download an app to their phone just to get info on their rental. Another annoyance was that the check-in details states state "We can grant early arrivals and late departures as long as we do not have another group arriving/departing the same day." I called the day before our arrival to request an early check-in. I spoke with Scott of Pullen Rental Group and he said it wasn't likely since the rental was a same day turnover. Clearly, he did not even look up our rental details or he would have seen that the group before us was checking out the day before our arrival. We called the next day around 1pm the day of check-in to see if the house was ready; he had no idea but said he would call us back. He never did; we drove to the house to find the cleaner just pulling up at 240pm; the house was finally ready after the original 4pm time it was supposed to be ready. To top it off the entire house had a terrible odor from leftover food (that clearly the cleaner had only cleared out 2 hours prior -- it was clean at least). We had to have open all the windows for several hours to air it out. During our 4 night stay we were very annoyed by the lack of snow plowing. It was understandable that during the peak of the snowstorm the plowing may have fallen behind (however, it didn't seem to be a problem for a neighboring driveway), but even a full 48 hours after the snow stopped the plow had not returned. We called Pullen and they once again had no idea what was going on. Given the cost of the house and the significant amount extra we had to pay to Pullen property management, we expected at least some basic service. Pullen group was useless and we won't be staying at one of their rentals again. But we would stay at this house again. We thoroughly enjoyed our two night stay at Trailside Villa. Instructions were easy to follow and the house was clean and well appointed. Follow I-80 to Truckee, and take exit #184 for Donner Pass Rd. If traveling eastbound on I-80, go left at the end of the exit ramp, continuing east on Donner Pass Rd/Coldstream Rd, and over the highway; if traveling westbound on I-80, go right at the end of the exit ramp. Go about 1/2 mile on Donner Pass Rd, and turn left at the first light onto Northwoods Blvd. Continue straight through the stop sign and flashing light. You will pass Trout Creek Recreation Center, The Lodge at Tahoe Donner, and a market (all on left side). About 2.5 miles past the stop sign, Turn right onto Fjord . Next, turn left onto Alder Dr. Finally, turn left onto Skislope Way. The house is .5 mile up the road on the right. It is unit #2 and the Lock Box is located on the left side of the front door frame.